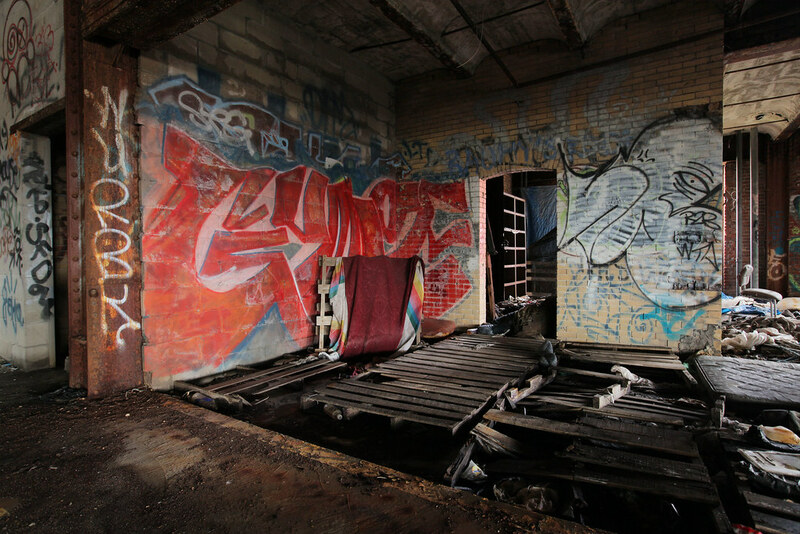 Not long ago, a pack of teenage runaways lived the dream in Gowanus’ infamous Batcave, shacking up rent-free in an abandoned MTA powerhouse on the shore of the notoriously toxic Gowanus Canal. 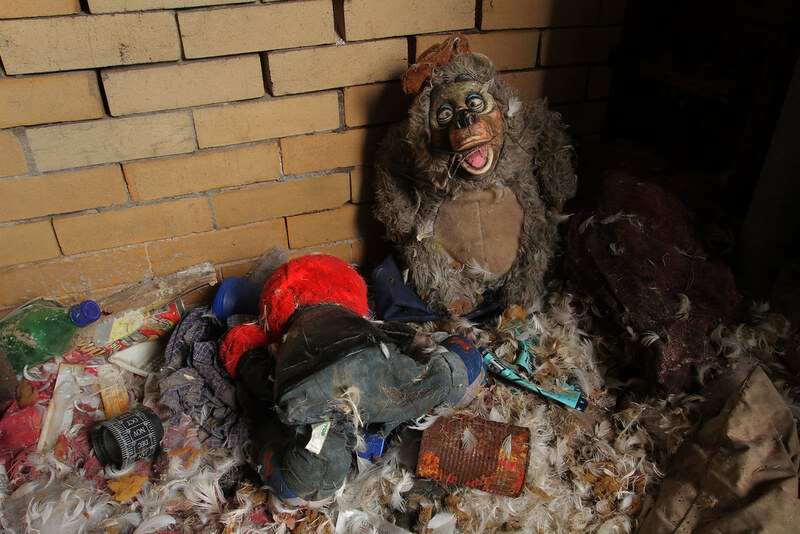 Out of the grime, in back rooms and crooked halls, the artifacts of this sizable squatter settlement remain to enlighten, amuse, and unnerve the intrepid few that enter the disreputable interior. 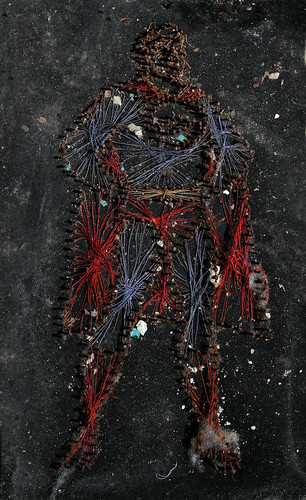 You wouldn’t expect to find Superman string art in the Batcave. 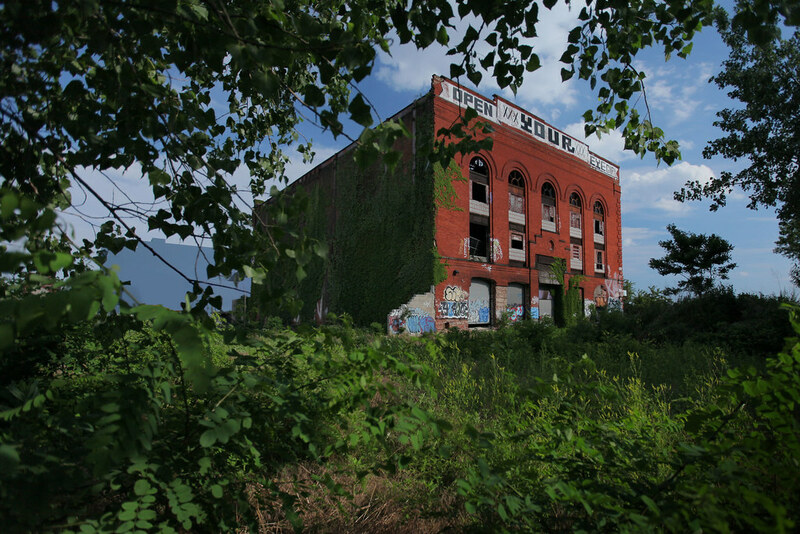 The old Central Power Station of the Brooklyn Rapid Transit Company was built in 1896 to serve a rapidly expanding subway system in the outer boroughs, positioned on the banks of the Gowanus Canal to ensure an efficient intake of coal to power an arsenal of 32 boilers and eight 4,000 horsepower steam-driven generators. 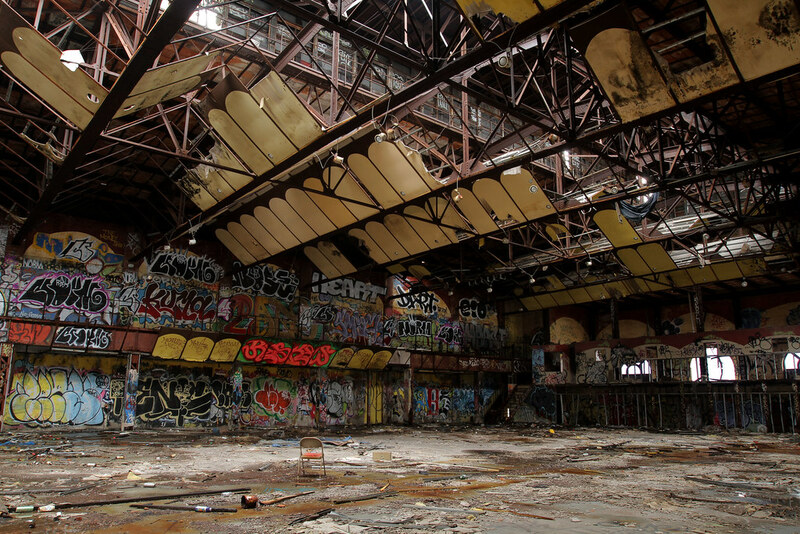 The plant’s technology couldn’t keep up with the times, and after a brief second life as a paper recycling plant, the powerhouse was abandoned. Today, it’s more commonly known as the “Batcave,” supposedly named for the creatures that once congregated in its broken-down ceiling. In the early 2000s, a colony of homeless young people settled inside the building, establishing a thriving, peaceable community. 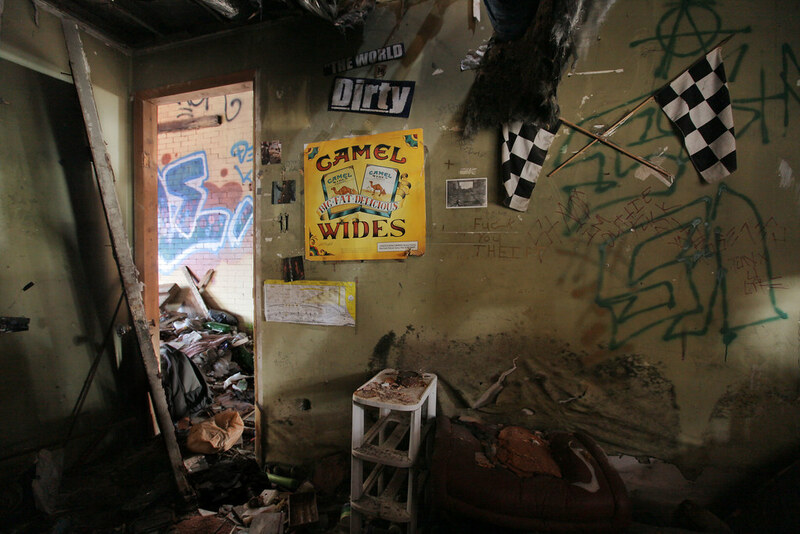 At onset, the squat held a positive reputation, kept under the watchful eye of a few individuals who ensured hard drugs and detrimental criminal activities were kept out. After a drunken rooftop incident, authorities were notified and made their first attempt to evict the punk-rock squatters, leaving the colony without its guardians. Over the next two years, heroin use and overdose grew rampant, and a wave of brutality overwhelmed the Batcave. 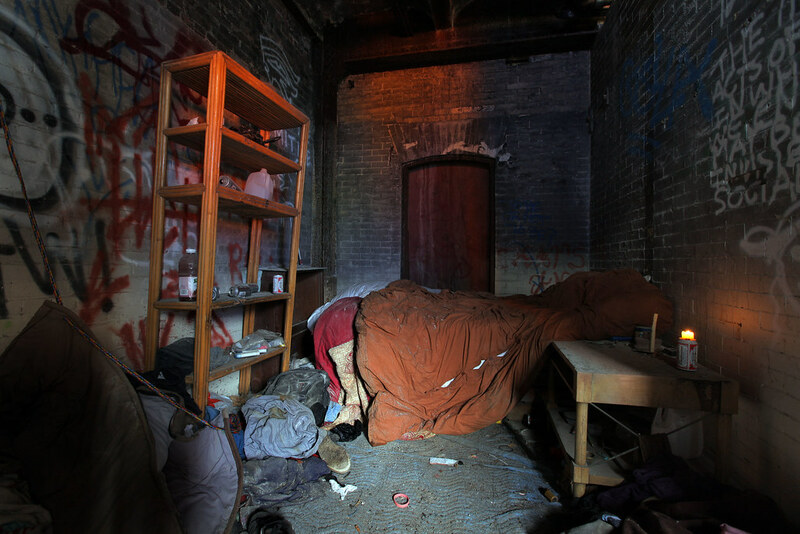 Drug-induced violence culminated in a series of nightmarish events; one homeless man was thrown from a window, another overdosed and was left on the street for law enforcement to find. Frightened community members saw to it that the Batcave colony was ousted indefinitely in 2006. 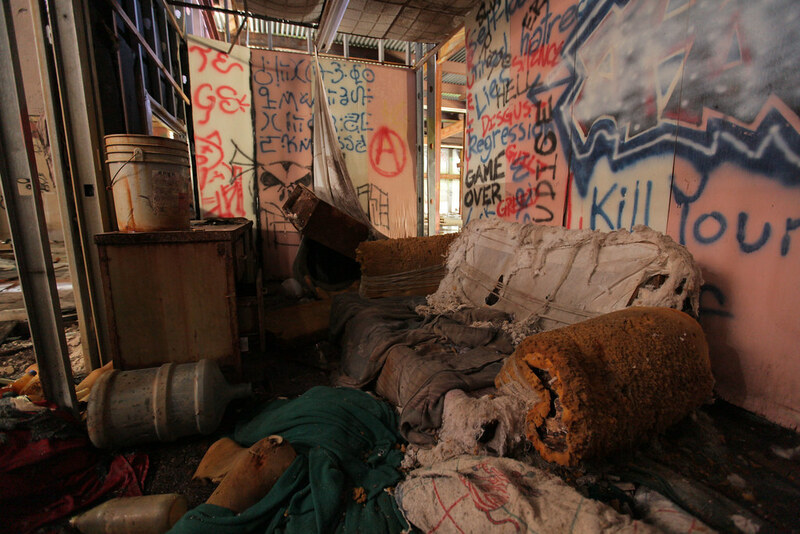 The residents are long gone, but most of their humble furnishings remain. 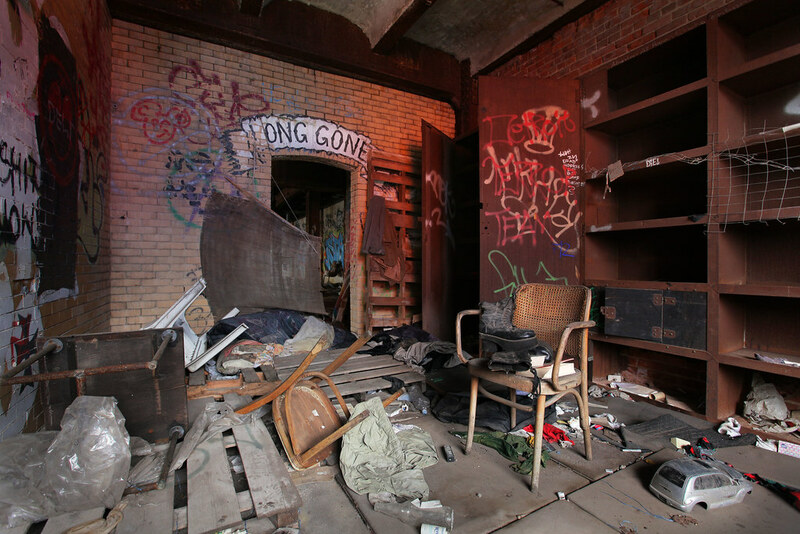 Some living quarters, fashioned in old corner offices of the power plant, are generously sized, complete with beds, bookshelves, and lounge chairs. Others are no larger than a closet; album covers, skulls and superheroes, and a general state of chaos are prominent features of these impromptu bedrooms. Prized possessions—a VHS copy of the Nightmare Before Christmas, a dogeared paperback edition of Hamlet—molder in the damp with shampoo bottles, plastic toys, and stockpiles of hypodermic needles. Stuffed animals are the most abundant, and telling artifacts. 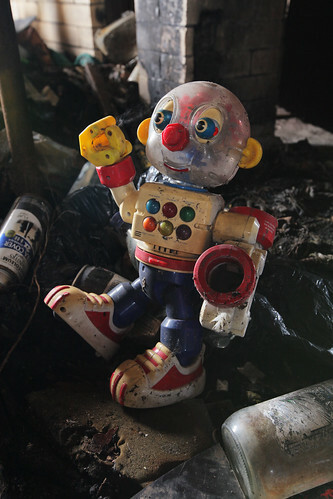 Once treasured, these hulking teddy bears, leather-clad Elmo dolls, and freaky Fisher-Price robots lie mired in filth, decapitated or gutted and hung from strings. 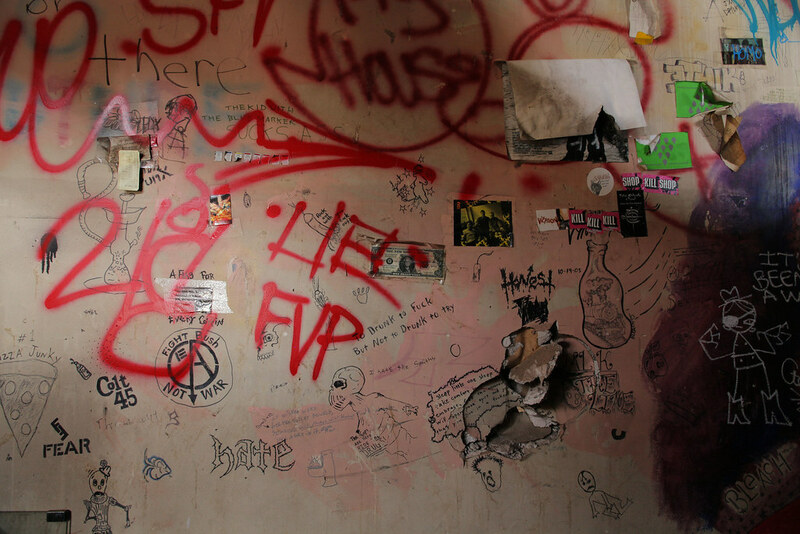 While large-scale pieces by notable graffiti artists dominate the Batcave’s main hall, the more intriguing artworks can be found on the bedroom walls. Always obscene, typically humorous, and occasionally clever, these amateur scrawls portray a community of fun-loving, hard-living, creative youth, although some inscriptions tend toward the dark and morbid, pointing to a deep resentment for society and obsessions with dying and suicide. It’s no wonder so many lost souls found solace here—just look up. The Batcave’s eye-popping top floor certainly feels like a sanctuary. Light rain filters down from a collapsed ceiling, atomized to a sweeping mist. In a permanent puddle, arched reflections of the clerestory windows tremble. Pleated ceiling panels once muffled the hum and hiss of a mammoth industrial undertaking, but their effect is more visual now. 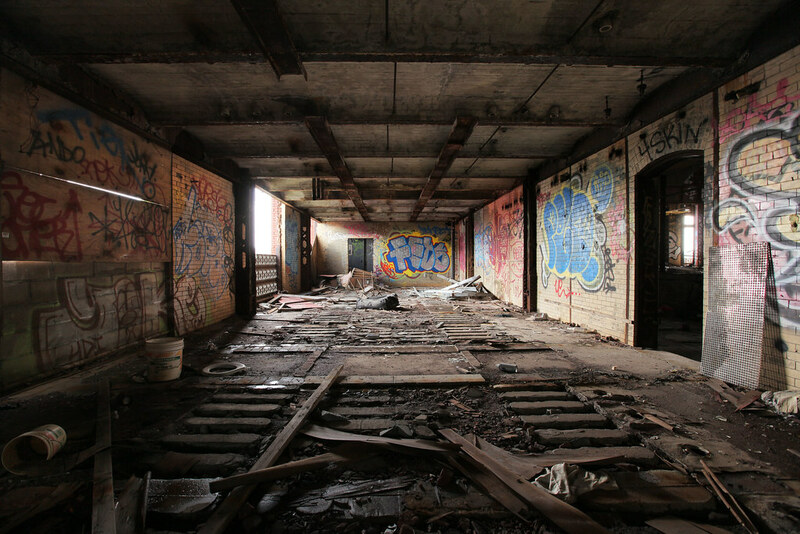 Interweaving supports shimmer like the facets of a diamond as you move through the space—it’s a crustpunk kaleidoscope that constitutes one of the most spectacular abandoned sights in New York City. 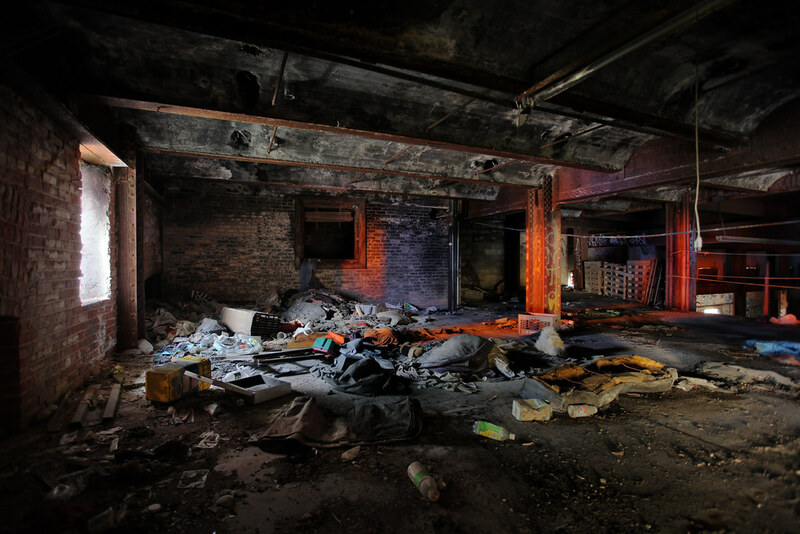 For all the atmosphere of grime and decay, the Batcave gives an impression of a living space that, though not well kept, was certainly well loved. 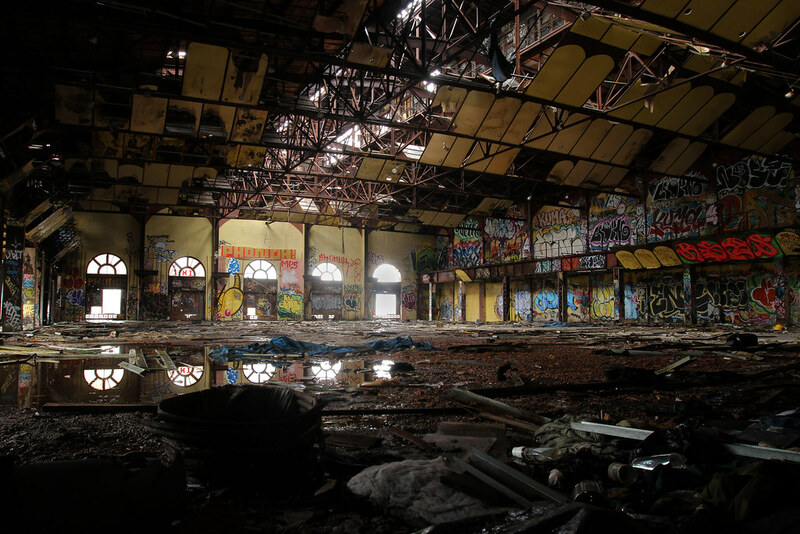 It isn’t difficult to imagine a time when this damp industrial shell was filled with warmth and welcome, or to imagine its occupants, in those first idyllic months, brimming with a sense of ownership and control, invulnerable to the pressures of parents and policemen. The fate of the Batcave lies in the balance of Gowanus’ contentious transition from industrial wasteland to trendy residential neighborhood. Numerous plans have emerged for the development of the property, but the canal’s recent Superfund designation and an uncertain future for the game-changing Whole Foods development across the street has deterred potential investors from shelling out the millions necessary to renovate the structure and rehabilitate its environmentally hazardous grounds. 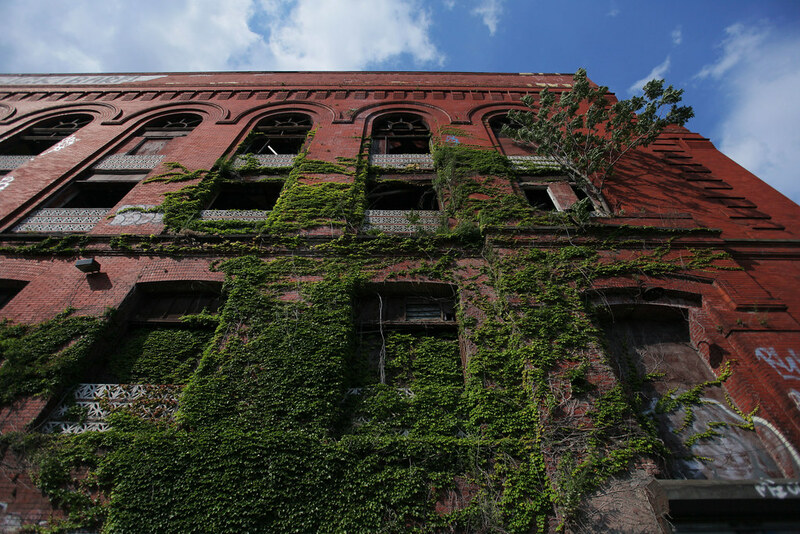 Through an overgrown lot in the height of Spring, the dilapidated redbrick facade remains a sight to behold, concealing a sordid wonderland within, marking the spot where a youthful dream lived, and died. UPDATE Nov 23, 2012: The Batcave property sold for $7 million to philanthropist Joshua Rechnitz. 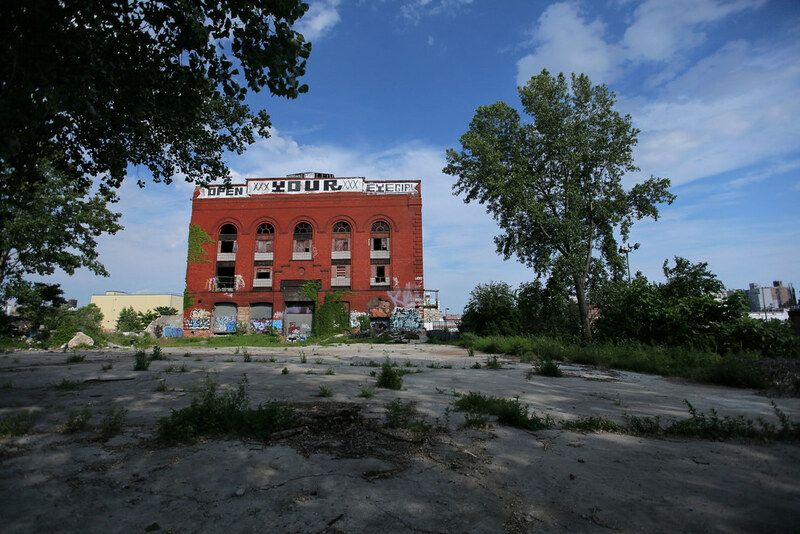 The building will be saved, and renovated into art studios and exhibition space. Read the New York Times article here. A chair gives a sense of scale. 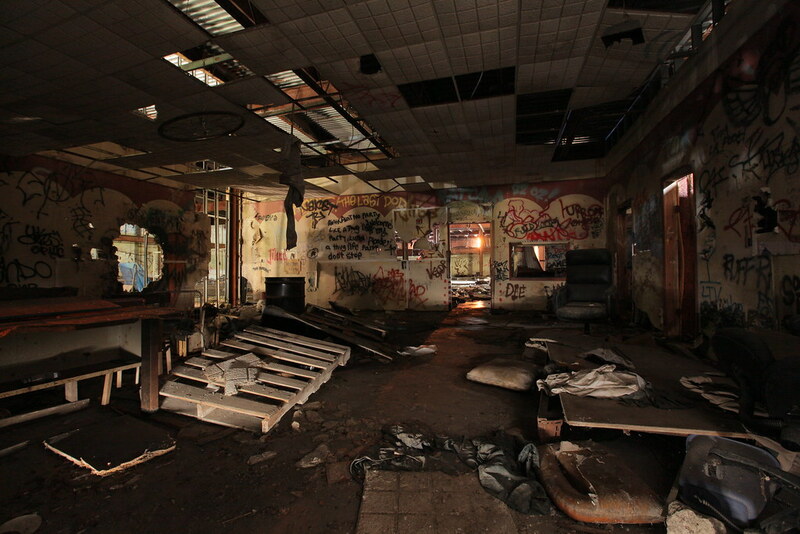 Some rooms are relatively undisturbed. Couldn’t resist lighting this candle holder, fashioned out of a beer can. The residents are “Long Gone,” but it felt like someone could barge in at any moment. Pallets remedy a flooded entrance to a large squat. The markers of rebellion decorate a closet-sized residence. Runes hidden in a jet-black hangout. This Bear Jamboree figure was probably frightening long before it went to rot. 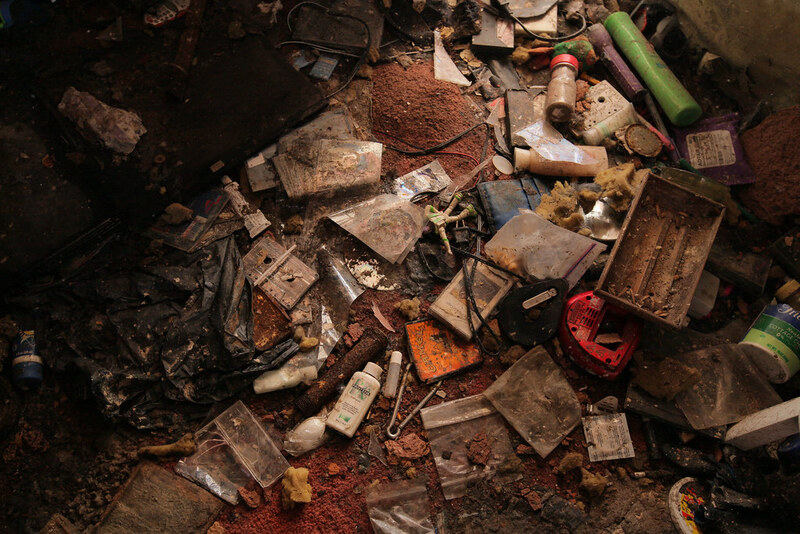 Detritus collects on a bedroom floor. Can you spot Buzz Lightyear? 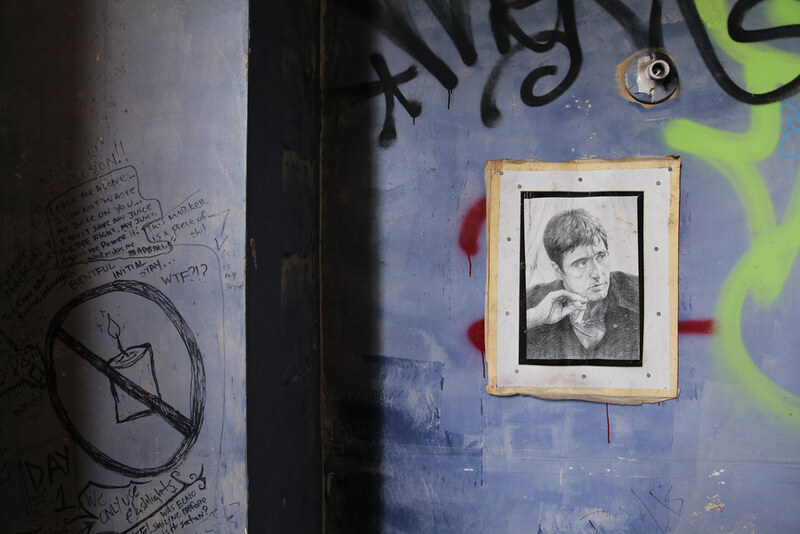 Al Pacino watches over a squatter’s pad. A neighboring storage facility reflects its gawdy plastic siding into a Batcave nook, accenting some interiors with splashes of orange and blue. An arched motif can be found throughout the building. Here, it’s painted in a ground floor nook. A tree grows in Gowanus.